The National Retail Federation estimates that $586.1 billion will be spent on holiday shopping in 2012, a 4.1 percent increase from last year. 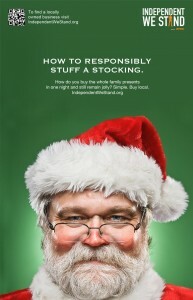 According to the NFR’s 2012 holiday consumer spending survey, the average holiday shopper will spend $749.51. 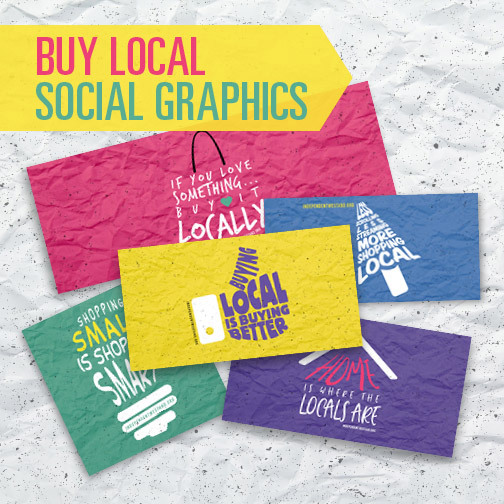 Imagine what an impact you could make on your local community if you purchased gifts, decorations, greeting cards and more from locally owned businesses? 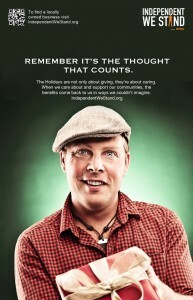 Please help us spread the word by sharing our holiday posters. Just click on the posters below to download the high res printable pdf. 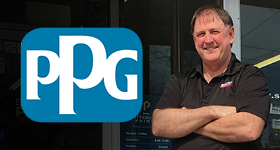 To share a jpeg on Facebook, blogs, or email blasts, please right click on the poster images below and select “View Image” and then “Save Image As” and save to your hard drive. 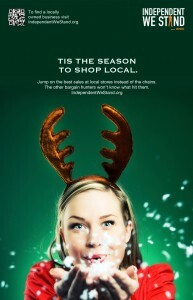 Read more about buy local materials, holiday shopping, National Retail Federation. Follow Independent We Stand’s Blog! Enter your email address to follow IWS’ blog and receive notifications of new posts by email. Can Any City Really Survive on Locally-Grown Food Alone?